In the aftermath of last month's Senate gun vote, during which the chamber struck down a series measures that would have expanded regulations for gun buyers and users, a majority of Americans say they're either angry or disappointed about that votes, according to a new poll from CBS News and the New York Times. The survey, which polled 965 adults nationwide between April 24-28, indicates that 59 percent of Americans are dissatisfied with the results of the Senate gun votes: 19 percent said they were angry about the votes, and 40 percent said they were disappointed by the results. Only nine percent of voters described themselves as "enthusiastic" about how the gun law votes turned out, and 27 percent expressed satisfaction with the results. In April, after months of negotiations and a protracted lobbying campaign by the Obama administration, a bipartisan measure for expanding background checks - a relatively modest piece of legislation that was viewed as the most promising of a slew of tougher measures - fell six votes short of passage in the Senate. A handful of other, tougher measures also failed. Do the Democrats have a lock on the Hispanic vote? Eighty-eight percent of voters say they support background checks for all gun buyers, according to the CBS News/New York Times poll, and that support cuts across political parties; Republicans (86 percent), Democrats (95 percent) and independents (83 percent) all favor that policy. That background checks specifically find such favor is striking in the broader context of the debate, given that Americans appear to be much more divided on gun laws generally. According to the survey, 54 percent of Americans think gun laws should be tougher, 33 percent say the laws should remain as they are, and 10 percent say they should be relaxed. In general, most Republicans would prefer to keep gun laws the same, and most Democrats would prefer to make them stricter, as has long been the case. Public opinion on banning semi-automatic weapons is mixed. Fifty percent of Americans favor such a ban, which was among the gun measures shot down by the Senate last month, and 47 percent oppose one. Meanwhile, as gun control groups like Mayors Against Illegal Guns and Americans for Responsible Solutions attempt to create political consequences for lawmakers who vote against gun laws, it's clear that the issue - thought rarely voters' top concern -- stands as a litmus test for many voters. Forty-seven percent say they could not vote for a candidate who disagrees with their views on the issue, but Republicans are a little more likely to be "single issue voters"
Views of the National Rifle Association have not changed since the recent debate over gun legislation; 34 percent of adults view the pro-gun group favorably and 26 percent view it unfavorably, with the rest undecided. Gun owners have favorable views of the organization, and non-gun owners either don't have an opinion or view it negatively. With negotiations ongoing for bipartisan legislation that would overhaul the nation's immigration system, an overwhelming majority of Americans - 83 percent - say they favor a system that provided a path to citizenship under certain conditions, like those requiring candidates to pay fines and back taxes, pass criminal background checks and learn English. That support cuts across party lines: 84 percent of Republicans, 87 percent of Democrats, and 90 percent of independents support that kind of system. There is also broad popular support for a federal employment verification system all employers would be required to use to confirm that new hires are legally authorized to work in the U.S. Eight in ten - 84 percent of Republicans, 78 percent of Democrats, and 78 percent of independents -- Americans favor that system, and 15 percent oppose it. Americans express a clear preference about which groups of immigrants should receive priority: 58 percent prefer giving priority to immigrants based on education, job skills and work experience, while 27 percent would prioritize people who have family members already living in the U.S. About a third (35 percent) of Americans would like to see legal immigration into the U.S. kept at its present level, but nearly as many (31 percent) would like to see it decreased; another 25 percent want it increased. Most Americans say immigration is not a make-or-break issue in their vote. More than half, 57 percent, say they'd vote for a candidate who does not share their views on the issue, while 29 percent say the issue is so important that they could not vote for a candidate who disagrees with them. Congress continues to spar over how to reduce the national deficit, but most Americans continue to seek a balanced approach to deficit reduction, through tax increases and spending cuts. Fifty-seven percent advocate a combined solution, while 36 percent think the deficit should be reduced by cuts in spending alone. Most Republicans (59 percent) want the deficit reduced with spending cuts alone, while most Democrats (76 percent) and independents (55 percent) want a combination of spending cuts and tax increases. When asked to choose from a list of items to cut from the federal budget for purposes of deficit reduction, more Americans expressed a willingness to cut government spending in the military (43 percent), than Medicare (23 percent) or Social Security (13 percent). The military was also the top choice when this question was asked two years ago. When asked to focus on some domestic programs only, Americans are more willing to cut aid to the poor and unemployed (29 percent) and make cuts to the nation's infrastructure (29 percent), than cut funding for science and medical research (16 percent) or education (7 percent). The economy and jobs remains the most important problem facing the country today, according to respondents, and views on how the economy is doing and the direction it is heading in remain largely unchanged from the beginning of the year. 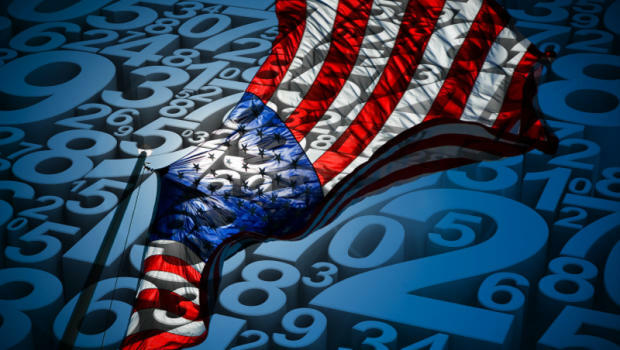 Sixty-eight percent of Americans characterize the economy as fairly or very bad, and just 31 percent think the economy is getting better. More than 100 days into his second term, public opinion is divided as to how President Obama is handling his job. Forty-seven percent approve of the job he's doing, but nearly as many - 45 percent - disapprove, similar to last month. Eight in 10 Democrats approve of the job he's doing, while eight in 10 Republicans disapprove. Independents are divided. Majorities of Americans approve of the Mr. Obama's handling of the Boston bombing attacks (68 percent) as well as his handling of terrorism in general (56 percent) - and he gets a net positive rating on his handling of foreign policy (45 percent) as well. For the full poll results, see next page.